Save a ton of space, thanks to its compact design. More cost-effective than purchasing several different machines. A ten-year warranty sure does make the investment a whole lot more tempting than it already is. Comes almost entirely pre-assembled. This saves you construction time, and leaves you able to focus on what matters most: exercising! It is a substantial investment. That may seem daunting, but given the alternative of buying several separate machines, it more than balances out. May not offer the atmosphere of going out to an actual gym. If you’re more of a stay-at-home type, however, that really shouldn’t be an issue. The Body-Solid Powerline BSG10X provides you the best home workout experience. Packed with features you need for a home gym, this is a one is a great buy. If you don’t like a home gym with a complex assembly, this unit comes with 90% assembly with just fastening those bolts in. If you’re looking to get in shape, but don’t have tons of space available for a personal home gym, there’s a device out there that might be just what you’re looking for. Without sacrificing much space at all, be it if you live in a home or apartment, the Powerline BSG10X Home Gym offers you multiple workout routines built into a single machine that’s convenient for just about any and all living spaces. This is the one you’ve been waiting for. Read on to see just how the Powerline BSG10X can benefit you, and offer just the workout you’ve been looking for. Unlike other home gyms and exercise devices, the Powerline BSG10X arrives at your door almost entirely pre-assembled. Those pullies and cables you dread having to string up yourself? They’re completely handled by the warehouse before even being packaged up. Body-Solid understands that not everyone has the time or patience to sit down and figure out how to construct an entire home gym from the ground up. That’s why they’ve made the entire process as simple and easy on the end user as possible. There’s no need for an instruction manual or complicated guides; the BSG10X simply requires you to install nine bolts across the entire frame. They’re easy to spot, and even easier to screw into place. It really is as simple as it sounds. Once you have it out of the shipping package and set up in the space you’ve set aside for it, you can be working out within thirty minutes. That’s how quick and easy the set-up process is. What’s even more impressive is how compact it is. Coming in at under four feet wide and six feet tall, this is one home gym that can be set up just about anywhere. Not only is the Powerline BSG10X home gym built to be a space-saving device that lets you have a full workout without taking up half the space of multiple workout stations, it doesn’t compromise any of those workouts. You’ll never feel cheated, or like the device doesn’t measure up to those multiple dedicated platforms. The Powerline BSG10X is a stable, sturdy unit that allows for several different seating alterations, meaning it caters to people of all different shapes and sizes. 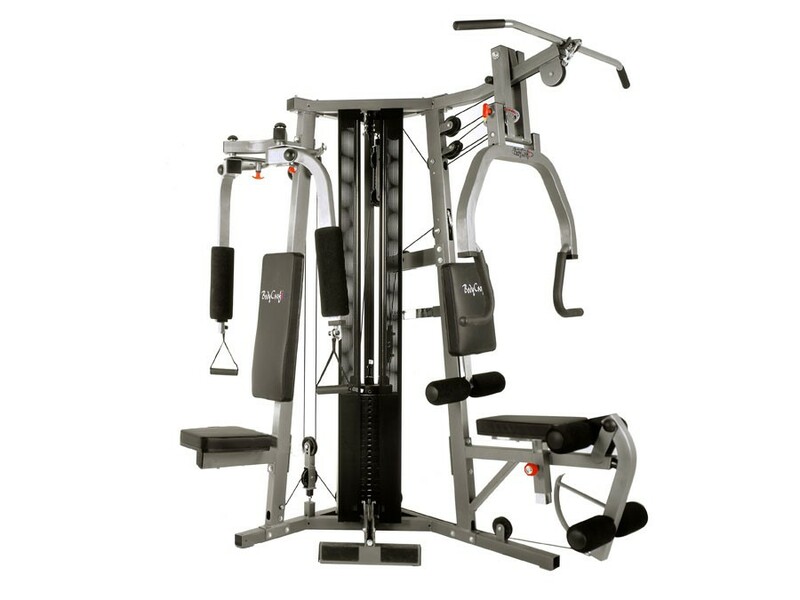 Additionally, it comes with multiple weight stacks, all of which are adjustable. These allow for increased or decreased resistance as you need, depending on the level of resistance you’re looking for in your workout. That also goes for the pulleys which allow for high, middle, and low positioning. Still not enough settings for you? Well, hang on because there’s so much more. Believe it or not the BSG10X allows for more than forty different exercise routines. 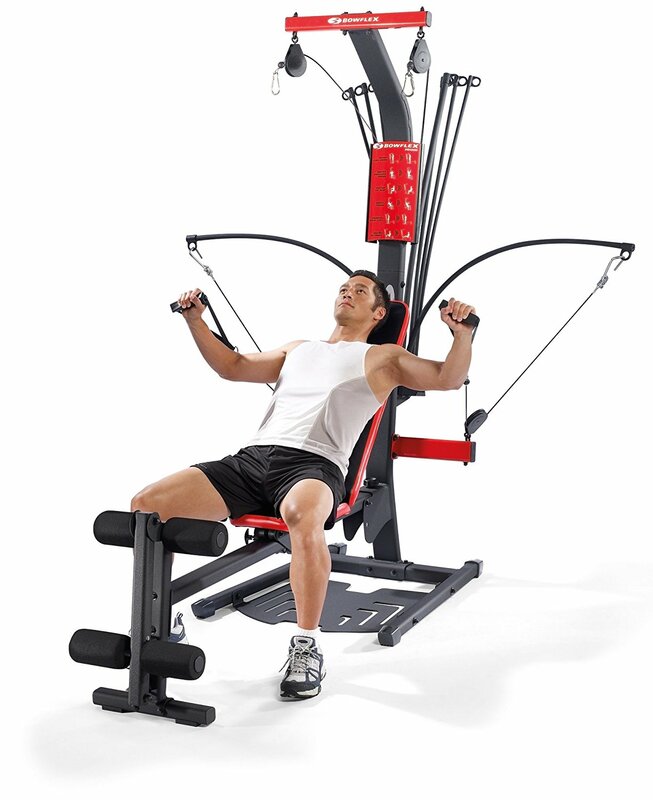 This is largely due to, not only to the multiple weight stacks and pulleys, but the upwards of ten different arm and leg station settings. Each setting and combination are guaranteed safe and designed for human usage. Time to get your workout on! Last but not least, don’t forget about the low row bar and the abdomen harness. When used together, they give you the additional rowing workout that you could only get previously by investing in a rowing machine. If that doesn’t spell sound investment, I don’t know what does. This is literally one of the best machines you can invest in if you’re looking to improve your health and life, but don’t want to invest in an entire gym’s worth of equipment. Promises sometimes don’t hold much meaning in the retail world. Just because an item is promised to operate a certain way, or last a set amount of time, doesn’t mean that it always holds up to that expectation. Body-Solid isn’t interested in selling you a product that fails to meet expectations. That’s not the type of company they run. As a result, each BSG10X is issued with a warranty. But not just any warranty. The Powerline ten-year warranty is an exclusive offer that is almost unmatched across the entire workout industry. If for any reason you’re left unsatisfied with the product, or it fails to perform properly during that long span of time, the company will replace it entirely at no expense to you what-so-ever. • Standard press bar. Realized for expert chest repetitions. • Lat pulldown utility. Allows for a full range of movement, giving all muscles an equal workout. 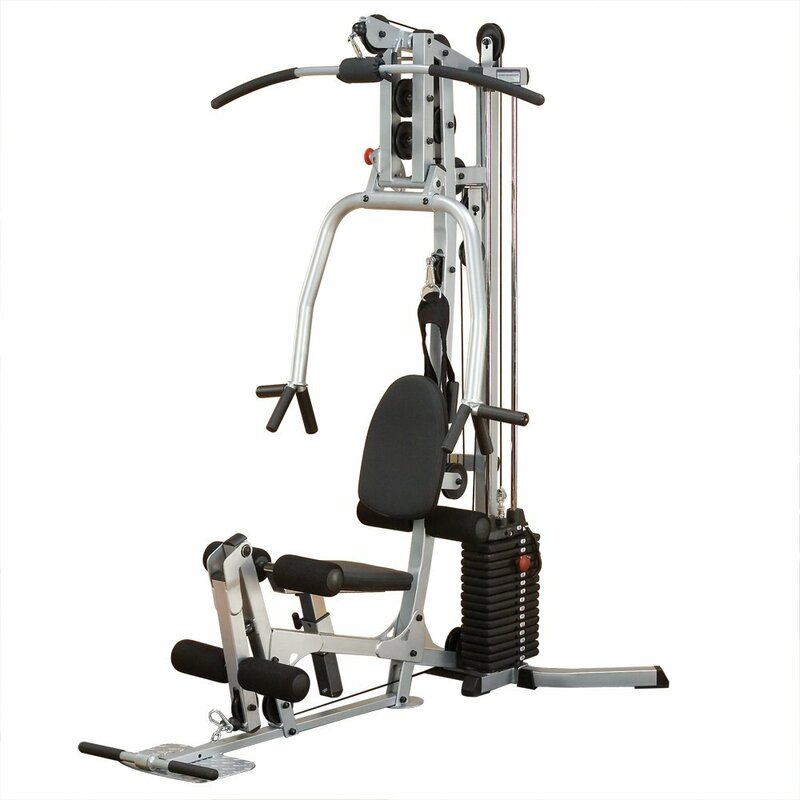 • Comes with 160 pound set of weights, able to be distributed throughout the machine. The Powerline BSG10X Home Gym doesn’t come with any accessories or add-ons beyond what’s already built into the machine- you’ve got everything you need already! 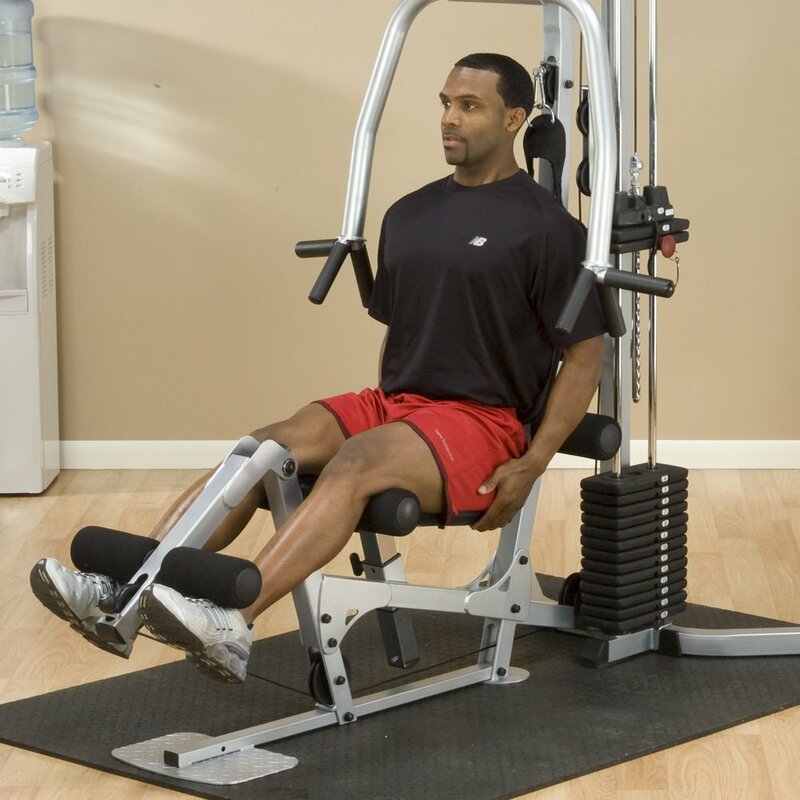 The machine really is a one-stop-shop for all of your personal workout needs. Why Choose Body-Solid Powerline BSG10X? Put simply, this is the workout device you’ve been looking for. More than that, even. It really is all you need to get the best possible workout from home. It’s simply the best. If you’re in need of a home workout station, look no further. The Powerline BSG10X Home Gym delivers on all of its promises, and is issued with a ten-year warranty to back it up. With almost ten different workouts, you’ll be on your way to a better you in no time.